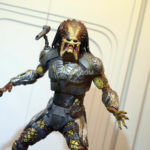 NECA updated their display by switching out the head sculpt for their upcoming The Predator – Fugitive Predator Figure. 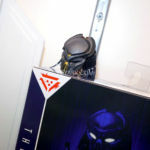 They have swapped out the masked portrait for an unmasked one and our team on the scene sent over some photos. 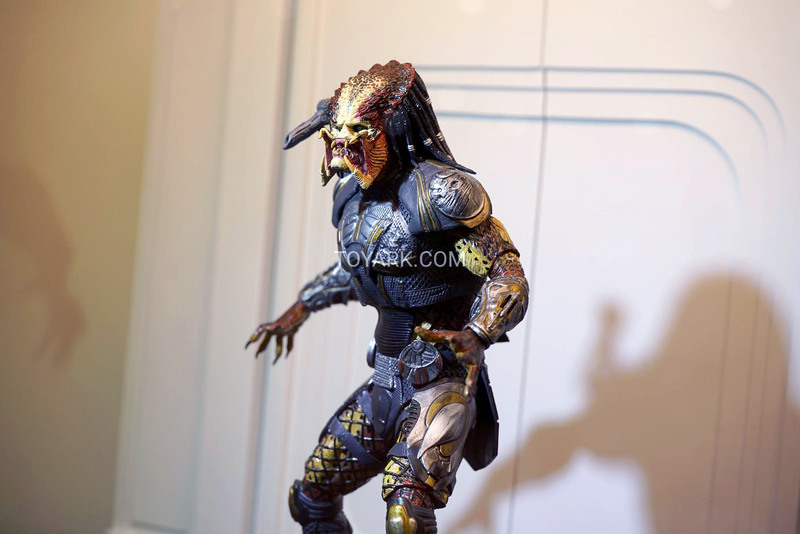 There also a few new photos of the Assassin Predator included as well. Click the headline of the story for the new photos. Lasershot! I love how they made his cyber-eye the iconic tri-dot, he's kinda goofy (at least compared to most of the other Kenner guys) but in a way I really like for a Kenner remake figure. I don't collect these, but it's so weird and wonderful that all those sillier Kenner creations are getting remade and most look great. Come on, O'Malley and Heavy Infantry Predator (who was actually never made)! I'll be in shock if they got the Michael Myers license back, hell yeah! Sheeeyit yeah! Amphibian Man! Halloween! A new Godzilla! 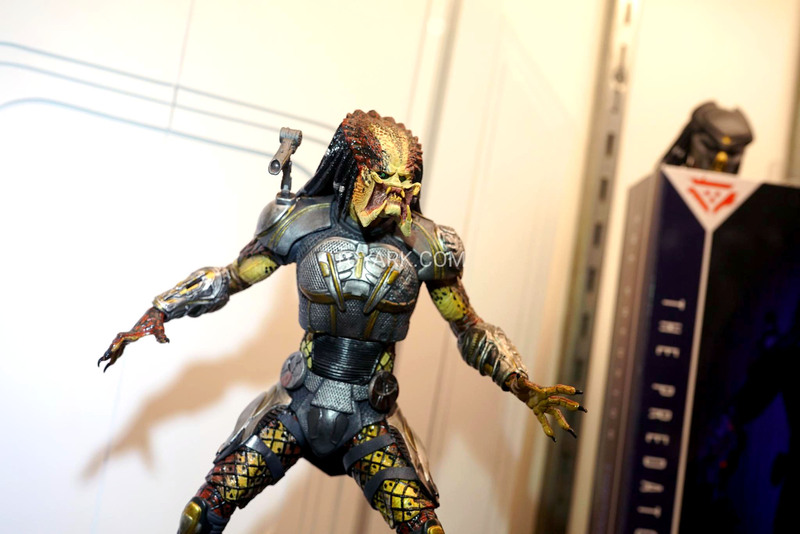 It's only preview night but NECA already knocked it out of the park in my book. I hope they release the Turtles in Time figures sometime soon, such great looking figures. Great to see Ult. Tiffany! 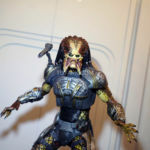 NECA is so great, I love that company. They just kill it every year. I absolutely love that Kenner Terminator figure with the vest. I had that toy as a kid and it was one of my favorites. I had completely forgot about it until I saw that preview. Complete nostalgia rush all over again. Little stuff like this is why they are so awesome. 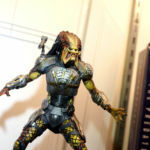 The Aliens Vs Predator arcade figures are still cool. 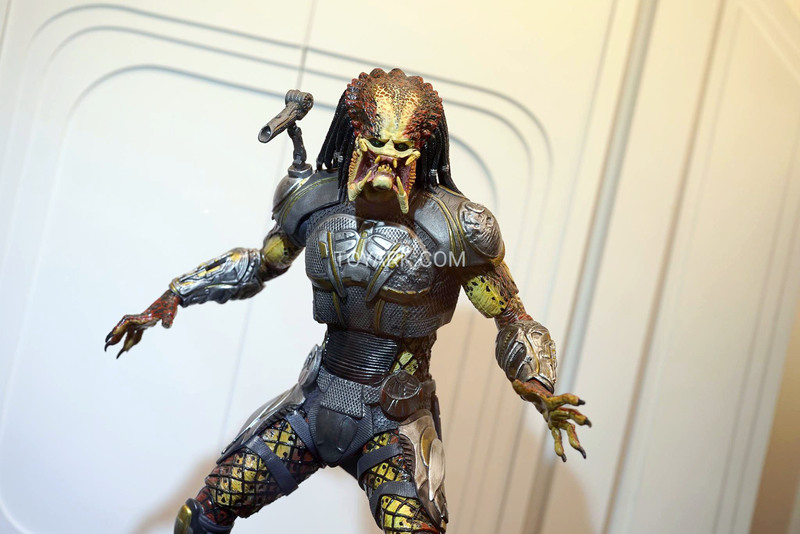 However, they have the wrong weapon with the two predators.The Warrior (grey) Predator should have the spear, the Hunter (Orange) Predator should have the halberd. Weird that they have those wrong. I've been waiting a LONG time for new Karate Kid figures. So this is great! 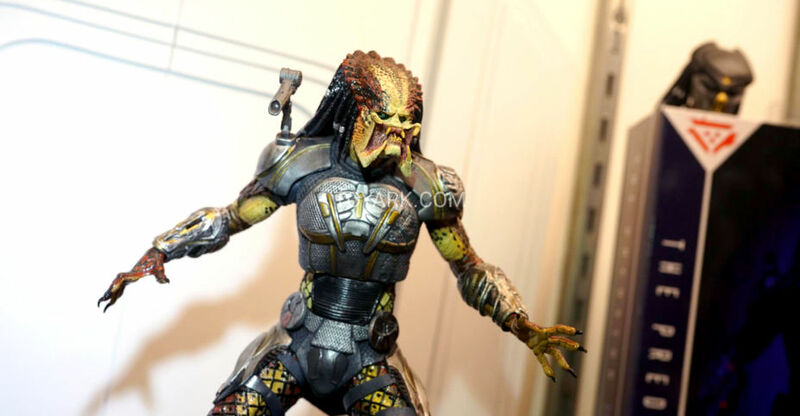 Hands down this is one of NECA's best SDCC's to date. 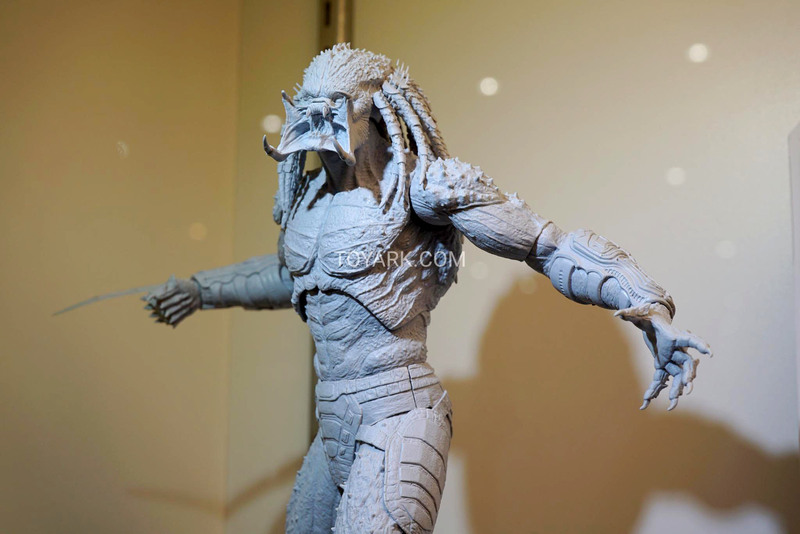 I haven't been this pumped from NECA's SDCC booth since 2012 when they unveiled Dutch. I was hoping to see a 2-pack of Kratos and Atrius, I had a feeling we might see Edward Furlong as John Conner, the Laser Shot Presator looks ridiculously awesome in all the right ways, the eventual articulated Ultimate Michael Myers reveal will finally complete the last of the truly great horror icons... and the Golden Girls and Karate Kid reveals are just icing on the cake! I don't even collect MEGO figures, but I'm happy for the people who do! 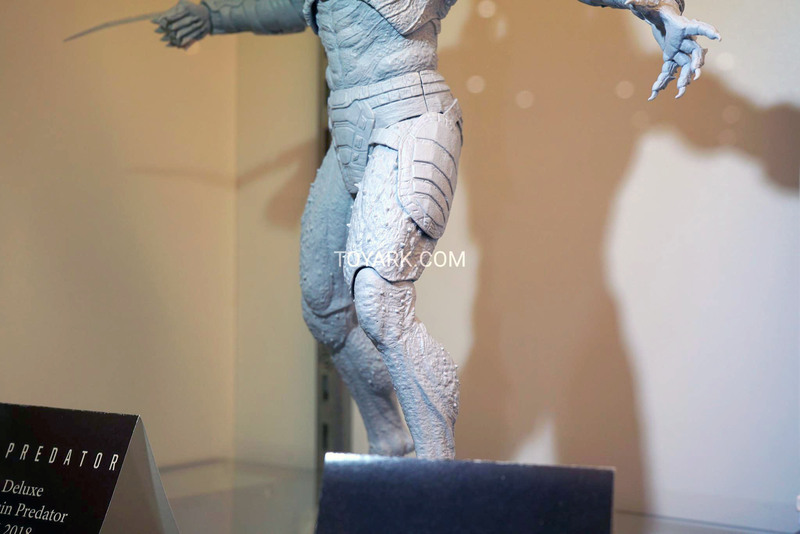 That translucent T-1000 has me very curious too! 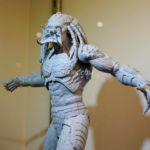 Does anyone else think the chest armor on the fugitive predator looks too bulky? I'm so excited for the rest of this year figure wise! This will definitely be a tough year and booth to top! i want that Jonnie with the skeleton costume, thats superb! 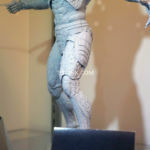 NECA finally shows off a brand new Godzilla figure just after Bandai reveals a MonsterArts version. I can't help but laugh at the irony. 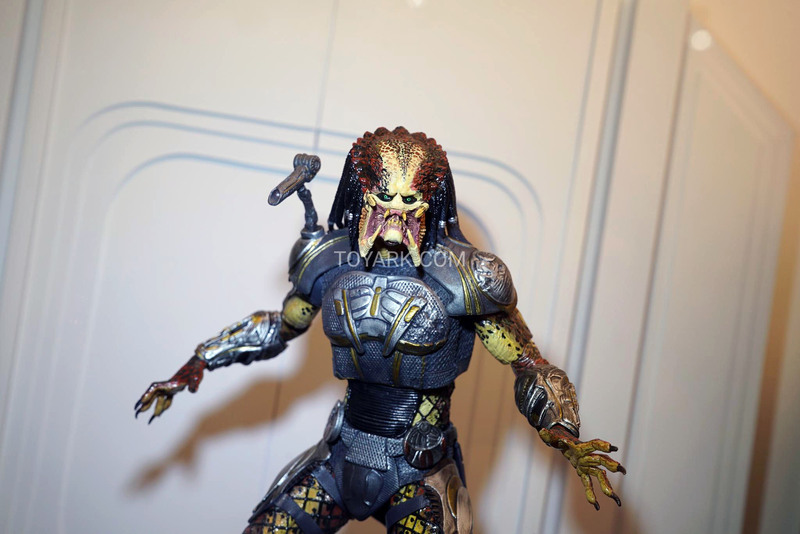 Man NECA blew this out of the water in every possible way. And all I'm thinking is wow what a time to be unemployed. 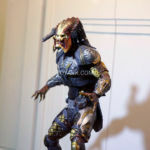 If one of these years NECA makes figures of Small Soldiers or Edward Scissorhands I will go insane. Hopefully they do an original Michael Meyers. loving the Kratos, Artreus and Mimir three pack. Their Golden Girls figures are the icing on the cake. I'm so tickled that they even exist. "What were you doing in Ladies Petite?" I'm just hoping and praying they have more surprise 7" DC action figures up their sleeves. I can't settle for the crappy Mattel and DC Collectibles ones. Stiff capes on their Batman's, for instance. So, I have just registered to this site specifically to say that I physically and emotionally need the Golden Girl figures, I owe it to the world to get my hands on them so more quality Golden Girls merch is created! How do I get them? 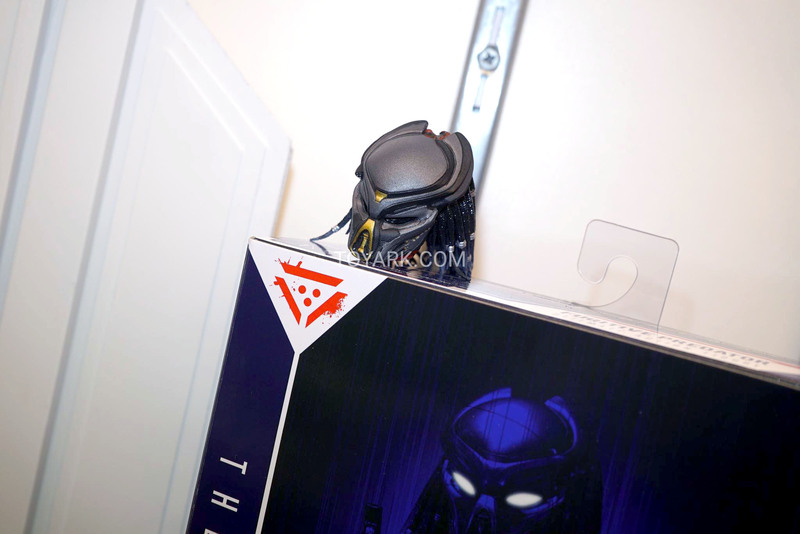 And since this is the first we're seeing of them, presumably it won't be long before pre-orders are up. Q1 2019 is a ways off, but most of this stuff can be reserved several months in advance. NECA crushed it this year. The foot soldier is mildly disappointing. I don't know what I was expecting. I hope they show Shredder at some point. I feel the same way. I just feel like proportions are off somehow. 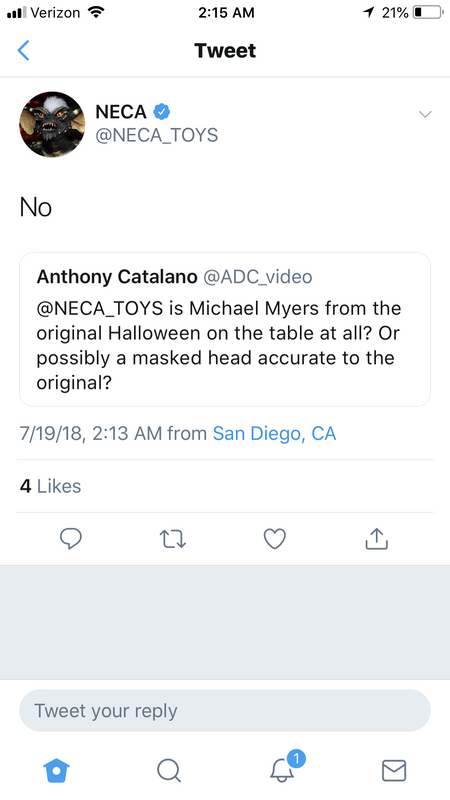 but I cant be too disappointed because Michael is now NECA's profile picture on Twitter. This is fantastic!